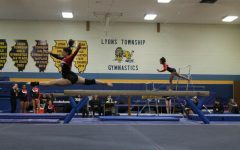 Annette Sommers, freshman, and Caroline Klobach, junior, stand next to each other, with both receiving all around athletes in the varsity West Suburban Conference meet at York Community High School on Jan. 26. 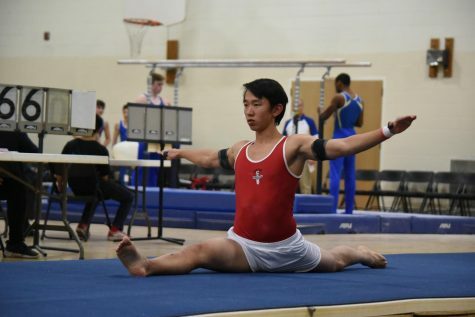 On Saturday, Jan. 26, the varsity and junior varsity gymnastics teams competed in the West Suburban Conference Championship at 11 a.m. at York Community High School. Caroline Klobach, junior, performed a pike vault routine that led her to a fourth-place tie at the West Suburban Conference Championship. 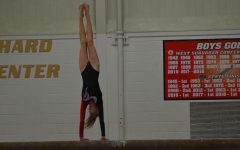 Junior Caroline Klobach and Freshman Annette Sommers made impressive marks for the Red Devils’ varsity gymnastics team, where Klobach tied for fourth in the vault with 9.150 points and eighth all-around athlete with 32.850 points, while Sommers placed tenth all-around athlete with 32.475 points. 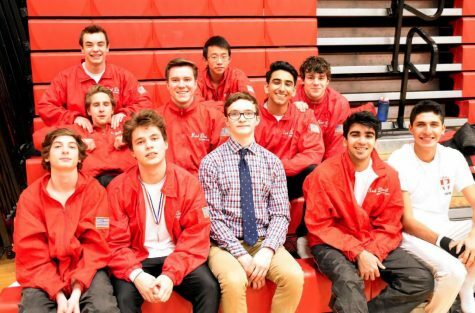 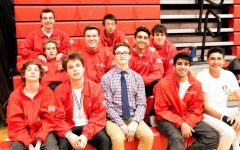 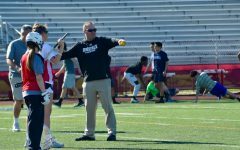 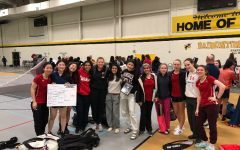 The varsity placed fifth overall with a combined score from regular season dual meets with a 1-4 record and the conference performance score of 123.775 and edged out Lyons Township by 2.6 points in the process. 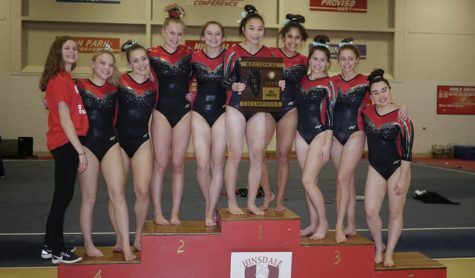 The Red Devils started strong on the vault earning a total team score of 33.350 running around four points behind the meet leader and previous state champions Glenbard West. Klobach ran a strong routine, twisting swiftly and landing strong, racking out a 9.150 fourth-place tie with Kenna Cinotte from Downers Grove North. 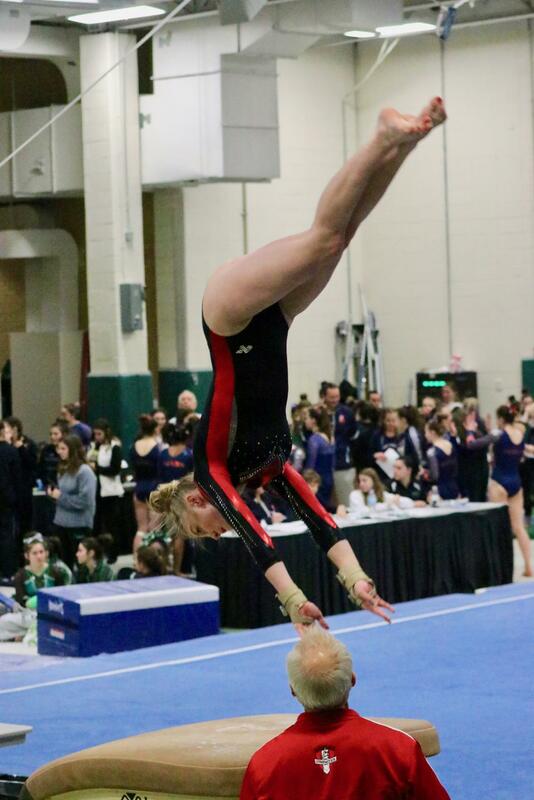 Sommers tied 16th with 8.250 points to keep her in contention for top ten all-around athletes. 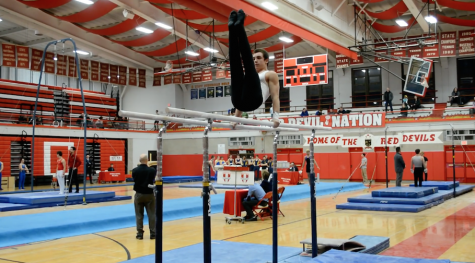 However, the Devils had some trouble in the uneven bars, scoring 28.150 points as a team. 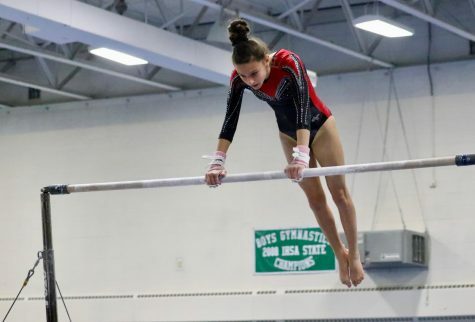 Sommers battled back and had a strong uneven bars routine, where she made smooth transitions, pulling herself up and finishing with a clean strong landing, earning her 11th place with 8.075 points. 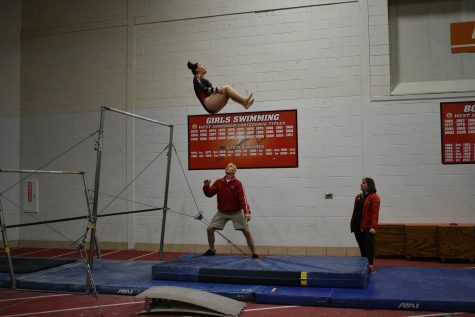 While Klobach started strong, a few points were deducted from her otherwise well-choreographed routine towards the middle when she paused and held onto the bar for a few seconds. 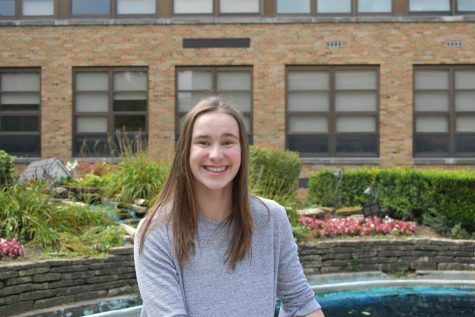 She placed 20th with 7.275 points. 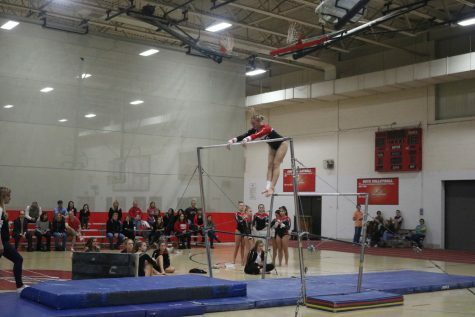 Annette Sommers, freshman, placed 11th in the vault with a score of 8.075 at the West Suburban Conference Championship. 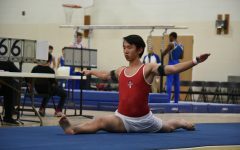 Central regained a little momentum going into the balance beam scoring 31.050 points, but the routines fell short of individual recognition. 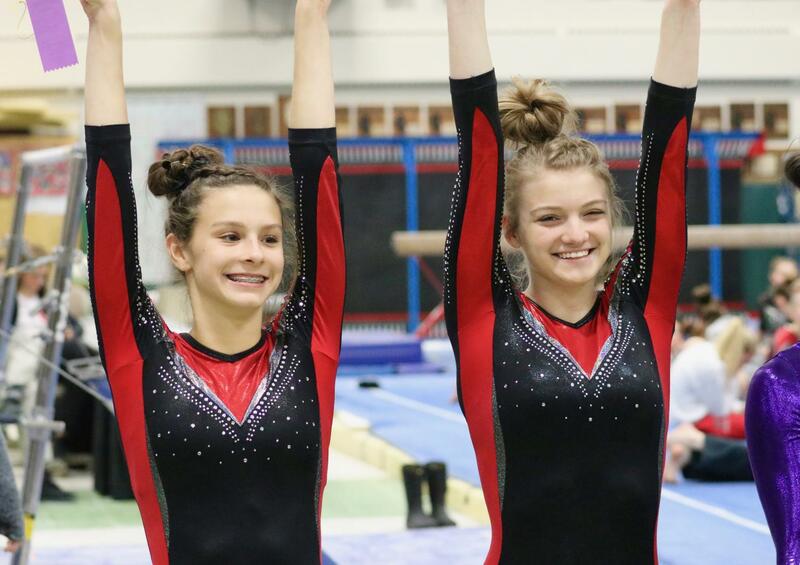 Both Sommers and Klobach fell off the beam, but still fought their way through the rest of their routine, with strong pike jumps, cartwheels, somersaults, and strong dismounts to finish 16th and 17th. 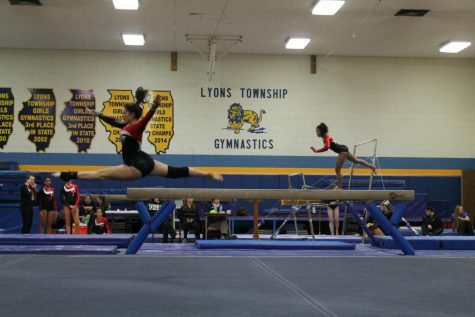 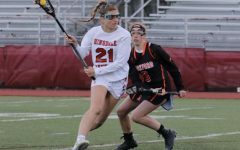 The girls are looking towards regional meet which is Monday, Jan. 29, at 6 p.m. at Oswego High School.